The Scottish county of Perth and Kinross is home to the glorious Scotland’s Hotel & Spa. This venue offers a range of spa day options - from packages if you’re on a budget, including a beauty treatments and afternoon tea, to slightly more expensive spa day deals which also entitle you to a full lunch at the hotel. Additional treatments can be added onto any of our packages if you wish to have more than one treatment (subject to availability on your chosen date). Why not turn your spa day into an overnight stay at the venue and get to enjoy the relaxing spa for a second day after a refreshing night’s sleep in the luxury accommodation. 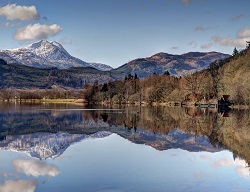 Perth & Kinross is surrounded by areas of natural beauty which guarantee you a wonderful walk with a loved one through the picturesque countryside surroundings leaving you without a care in the world. The perfect place to visit for a tranquil spa day in Perth and Kinross. From cosy single rooms, to executive suites with sleigh beds, you are spoilt for choice at Scotland's Hotel & Spa. The hotel owners taken great care to restore rooms to their former Victorian glory - while also ensuring contemporary decor features throughout. Many rooms enjoy sweeping views over the surrounding Perthshire countryside. All rooms come with a complimentary tray of coffee,. . .
Nestled into the beautiful Perthshire landscape, Dunkled House Hotel boasts an unrivalled experience of Scottish country living. This four-star luxury hotel sits on 280 acres of well-maintained and natural woodland and overlooks the wide and fast-flowing River Tay, renowned for its famous salmon fishing. Escape the hustle and bustle of city life and enjoy nature, tranquillity and Scottish scenery at. . .